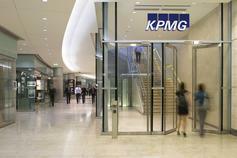 KPMG team of technical accounting specialists helps clients to understand complex accounting requirements. Companies operate in an increasingly complex financial reporting environment. Companies operate in an increasingly complex and fast changing financial reporting environment. All businesses face accounting challenges as a result of developments in underlying accounting requirements and also from general business activity.Some accounting issues will be simple, others will be more complex. Good professional advisers can strip away much of the uncertainty and confusion which can surround the application of accounting standards and reporting practices, and enable relevant commercial outcomes. Accounting in accordance with Azerbaijan Legal requirements, IFRS and other national GAAPs. Developing of accounting methodologies and processes. Advising on the introduction and interpretation of new and existing accounting standards, both Azerbaijan and international. Providing accounting support for due diligence and tax assignments. Accounting training solutions – this could be one-to-one training for senior finance staff or large updates for finance teams. KPMG is also helping companies adopt International Financial Reporting Standards, providing practical support to smooth the transition. Ziya joined KPMG in 2015 with more than seven years of audit experience.